In this blog, we look at the delivery of TV services, including the very latest Ultra HD (sometimes termed '4k') services from Netflix, Amazon and BT. Superfast broadband brings consumers the opportunity of enhancing TV delivered by traditional satellite (e.g. Sky HD and Freesat) and terrestrial broadcasting (e.g. Freeview). Broadband delivery of content also provides consumers with an alternative way of getting TV and video content from companies such as Netflix, Amazon and BT. Why the fuss about TV delivered over broadband? There's a great deal of interest about delivering TV services over broadband, and that's principally because TV is very important to many consumers and most people spend significantly more time watching TV than accessing the Internet on a PC or laptop. According to Ofcom, the time spent watching television was 232 minutes (3 hours 52 minutes) per day per person in 2013 for all people aged 4+ in homes with a TV. In comparison, the time spent on the Internet using a PC or laptop was 68 minutes. Furthermore, the time spent watching TV has increased slightly over the five-year period from 2008 to 2013. 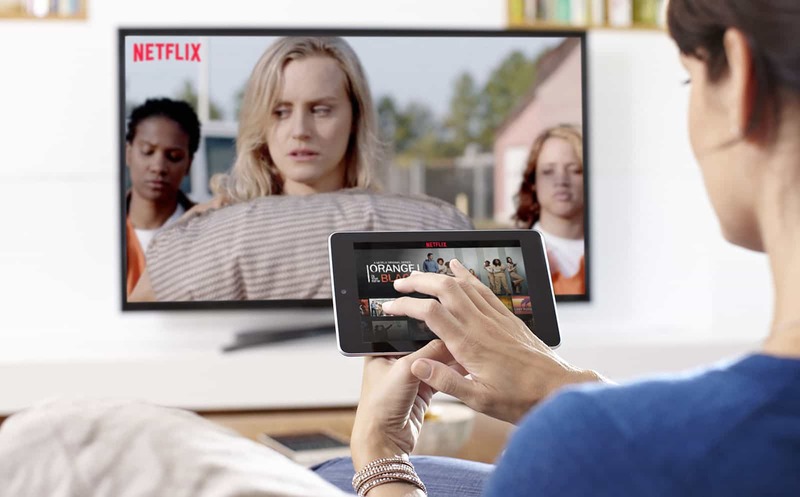 The ability to successfully deliver TV and video through fibre broadband is encouraging the entry of new entrants in the TV market, including Netflix, Amazon and BT. BT is seeking to generate additional income over basic broadband access charges and incentivise customers to migrate to superfast broadband so that they can access TV content. BT’s TV service (including BT Sports). With such services, consumers are freed from the constraints of so-called ‘linear’ TV i.e. the need to wait for the broadcast of a particular TV programme. No longer do consumers need to search through pages of TV schedules, and are able to access a range of content exactly when and where they want to. the inability to display Ultra HD ('4k’) content. With its higher download speeds, superfast broadband generally overcomes all these problems, dramatically improving the end-user experience for video and TV services. In many ways, TV represent the 'killer application' for superfast broadband. The BBC launched its iPlayer online catch-up service in December 2007. 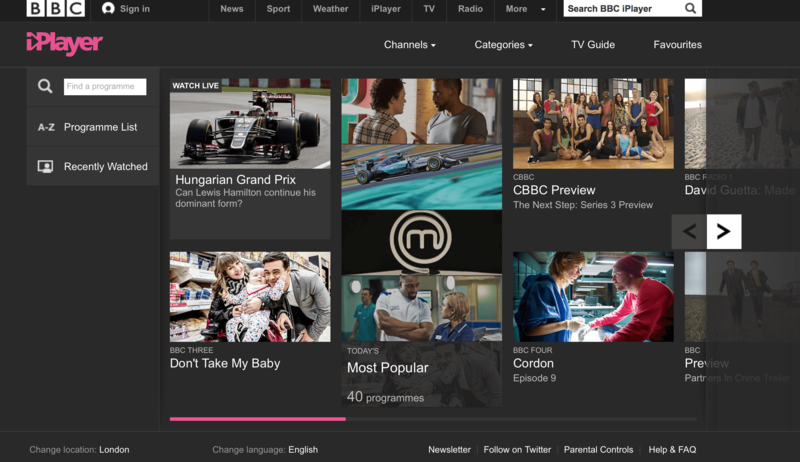 Originally providing catch-up of programmes in the last seven days, the BBC extended iPlayer in October 2014 to allow TV programmes to be shown for 30 days. Consumers can access iPlayer through a number of different devices, including smartphones, PCs and laptops, tablets, smart TVs and games consoles. The popularity of BBC iPlayer is continuing to increase. There were 276 million requests to BBC iPlayer during May 2015 – 10% higher than the same month in 2014. Programmes can be available in two different quality levels, reflecting how the original programme was produced and to best suit the speed of the broadband connection. Programmes that have been broadcast on BBC One HD and BBC Two HD are usually available to watch in ‘HD’ format on iPlayer. For its HD streaming service, the BBC uses H.264 (MPEG-4 AVC) coding with a bit rate of 3.2 Mbps (which is surprisingly low). Those suffering buffering issues with the HD streams (e.g. if they have low-speed conventional broadband connections) are forced to switch to lower-quality ‘SD’ (Standard Definition) streams. Our testing of BBC iPlayer shows that, providing the broadband download speed comfortably exceeds 3 Mbps, the service is reliable across all devices. Even though the higher-quality streams are termed ‘HD’, the picture quality is not as good as conventional HD broadcasts or the HD streams offered on Netflix (where the bit rate can reach 5.8 Mbps – which is nearly twice that of iPlayer). As the penetration of superfast broadband increases in the UK, we hope that the BBC will eventually be able to increase the maximum bit rate of its service to truly offer an ‘HD’ experience for those connections that can support it. 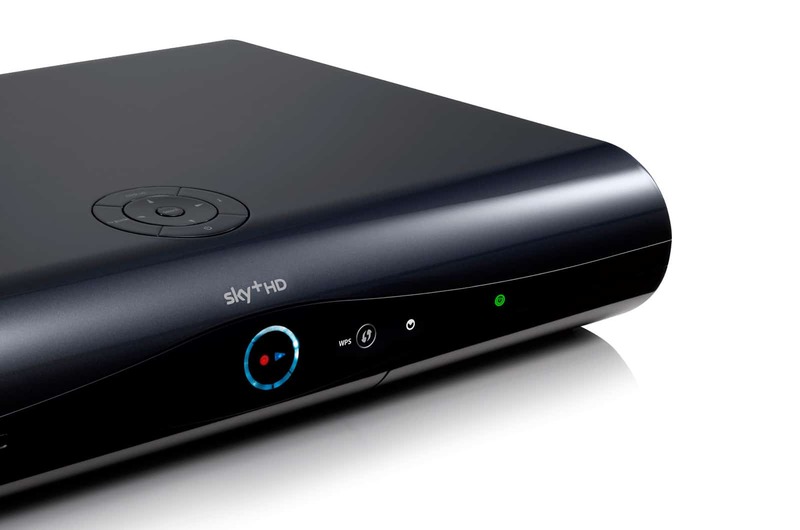 Sky offers hundreds of TV channels delivered by satellite to Sky+ HD boxes, which incorporate a hard disk to allow for recording of programmes. To complement the large number of live channels available via satellite, Sky has been increasingly developing its On Demand service, which it claims to be “Britain’s most popular connected TV platform”. Sky’s On Demand service is a great step forward for Sky TV viewers. While the availability of a huge number of TV channels may appeal, having to search through the Electronic Programme Guide and pages of listings can be far from fun, and there’s no guarantee that your favourite programmes will be showing at a time that you want to view them. With On Demand, there’s need to search through the movie channel listings and you can simply select a movie of your choice and download it in HD quality. To make use of On Demand, Sky users simply have to connect their Sky+ HD box to their broadband router using a WiFi adapter or Ethernet cable (which is much better) to access the increasing range of online content. If you have Sky and have not yet accessed Sky On Demand, you can visit Sky's Welcome to TV on demand page for set up instructions. Rather than streaming content, the availability of the hard disk in the Sky+ HD box allows content to be downloaded. This is particularly advantageous for those with slow broadband connections as content will eventually be downloaded however slow the connection. However, for slow connections, it may take many hours or even days to download a single programme. The big advantage for those with higher broadband speeds is the reduced time it takes between selecting a programme or film and being able to watch it. For a superfast broadband connection, a programme is typically available within just a few seconds of selecting it. Many programmes available through the On Demand services are available in HD format, and the picture quality is generally very good indeed, and significantly superior to iPlayer ‘HD’ content, for example. The On Demand service has become increasingly popular. In its 2014 Annual Report, Sky reported that On Demand downloads grew threefold over the year “as customers responded to greater flexibility and choice”. By June 2014, the majority of Sky’s TV customers had connected their set-top box to their broadband connection, and the “connected base” reached nearly 7 million homes by March 2015. On Demand downloads reached 300 million in the quarter ending March 2015, representing a 63% increase on the previous year. Despite its substantial investment in its satellite broadcasting platform, Sky is seeing potential in services delivered via broadband – partly to increase revenues and to fight off competition from emerging providers such as Netflix, Amazon and BT. It has been strongly developing the service, and providing greater visibility of its online content on the Electronic Programme Guide. Sky has moved away from so-called ‘linear’ programming as the default option on the EPG towards showcasing On Demand content. The new EPG provides enhanced visibility of its Catch Up, Box Sets and Sky Store content. In its 2014 Annual Report, Sky said, “Everything we see tells us that customers love the benefits that come with the connected box”. It continued, “The impact of the viewing experience has been transformational”. According to Sky, connected TV customers are watching more television (an average of 20 minutes more per day), and Sky considers that they are more satisfied with the service, more likely to stay with Sky and more likely to recommend Sky to others. Beyond its set-top box, Sky provides access to its content on other devices such as smartphones and tablets via its Sky Go service. In its 2014 Annual Report, Sky announced that, in the year, the number of households registered for Sky Go rose by a fifth to 5.5 million. US-based Netflix launched its original movie and TV streaming service in the UK in March 2012. Netflix currently provides movie and TV content via broadband to more than 50 countries, and has been experiencing significant customer base growth. In the quarter ending March 2015, Netflix added 4.9 million customers globally, bringing its global customer base to 62.3 million. It has adopted a strategy to produce its own original content, and series such as House Of Cards have proved popular. Netflix particularly suits households that perhaps have not opted to subscribe in the past to pay-TV but are seeking additional choice of programmes for a relatively modest price. Netflix has recently increased prices and is no longer the very low-cost option it once was. £5.99 per month allows customers to view on only “one screen” at a time in standard definition. Viewing on up to two screens at the same time, in high definition quality, costs £6.99 per month. There is also an option of viewing up to four screens at the same time in HD (and Ultra HD quality, discussed below) for £8.99 per month. Netflix can be viewed on a range of devices, including smart TVs, smartphones, PCs and tablets. What we find particularly impressive about the Netflix service is the picture quality, which can be extremely impressive in HD mode, even on a large television. Disney films, such as Monsters Inc, look very impressive with lots of visual detail. When you first start to view a programme, you can see the change in image quality as the application works out the maximum streaming data rate that can be used. Netflix uses H.264 (MPEG-4 AVC) for its HD content with a data rate of 5.8 Mbps – which is roughly double the data rate used for HD programmes in BBC iPlayer and it clearly shows. We believe that most people will struggle to tell the difference between a Netflix HD stream and a very high-quality broadcast HD channel in terms of image quality. In our testing, we have rarely experienced any technical issues or buffering. free unlimited online storage of photographs. As with Netflix, Amazon Instant can be accessed on a variety of devices, including smart TVs, set-top boxes, PCs, smartphones and tablets. Compared with Netflix, Amazon Instant generally has a better choice of movies and a worse choice of TV programmes. One annoying aspect of Amazon Instant is that Amazon mixes free Prime and premium content (where there is an additional charge) on the same screen. With Netflix, you are only presented with programmes and movies that are part of your monthly subscription. In terms of picture quality, Amazon Instant Video is currently not quite as impressive as Netflix, and picture quality can vary significantly across different devices. For Prime users wanting one-day delivery and online photo storage, Amazon Instant represents excellent value for money. BT now offers a range of TV content as part of its BT TV service. Its Entertainment Plus and Entertainment Max services (currently £10 and £15 per month, respectively) combine the functionality provided by a YouView PVR box (offering a range of HD terrestrial channels and recording capability) and delivery via fibre broadband of additional content (e.g. movies) and TV channels. BT TV subscribers also have the opportunity to subscribe to Sky channels (for example, Sky Movies, Sky Sports 2 and Sky Sports 2), although these are currently not available in high definition. Few will have missed the news about BT securing sports rights, as it increasingly attempts to provide sports content to rival Sky Sports. For example, in November 2013, BT announced the acquisition of exclusive live rights to all 350 matches a season in the UEFA Champions League for three years from 2015/16. BT’s basic BT Sports 1 channel (in standard definition and which does not cover the Champions League) is available to all BT broadband subscribers for ‘free’, which can be accessed on a variety of devices via broadband (including laptop, tablet and smartphone). There is an additional fee for access to all of BT’s sports channels. While it is still early days for BT's TV service, it shows significant promise in terms of technical quality and content. Overall picture quality of BT's HD sports channels is excellent across all devices. For the latest information on BT's packages, visit BT's website. While it is still early days for Ultra HD (often termed '4k'), momentum is quickly gathering with this new technology. According to BT, more than two-thirds of TVs sold in the UK are Ultra HD-ready. Ultra HD provides substantially higher pixel resolution than High Definition (HD) - with 3840 x 2160 pixels compared with 1920 x 1080 pixels with HD. 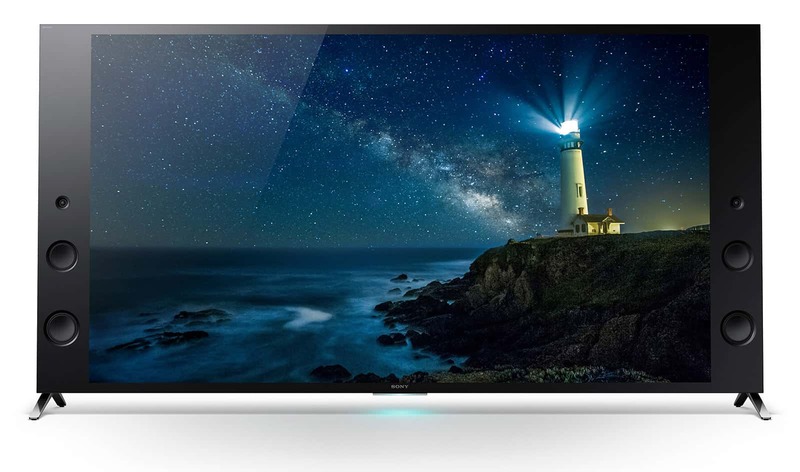 It won’t take purchasers of shiny new Ultra HD TVs long to realise that it is relatively hard to find Ultra HD content as there are currently no Ultra HD channels being broadcast via terrestrial TV or satellite. Furthermore, Ultra HD blu-ray discs are not currently available and are not expected until the end of 2015. The good news is that superfast broadband provides the means by which you can access Ultra HD content from Netflix, Amazon and YouTube – and Ultra HD is available now! In April 2014, Netflix launched Ultra HD services in the UK, offering the popular TV series House of Cards and Breaking Bad in this ultra high resolution format. Ultra High Definition content is streamed at 15.6 Mbps, using the HEVC H.265 codec (which is built in to most modern 4k TVs). A subscription of £8.99 per month allows customers to view in Ultra HD resolution as well as HD (on up to four devices at the same time). Since launch, the choice of Ultra HD content has improved, with a range of TV series now available, including Better Call Saul, Daredevil, Bloodline, Sense 8, Marco Polo, Grace and Frankie and Video Game High School. As part of its Amazon Prime service, Amazon introduced 4k content in December 2015, offering a relatively modest set of series and movies to stream, including original series such as Alpha House and Transparent. Unlike Netflix, there is no additional charge for streaming Ultra HD content with the Prime Instant Video service. In addition, subscribers can view recent films from Sony in Ultra HD format for £15 each, including Godzilla, Moneyball, Elysium and After Earth. Amazon uses the same HEVC video coding as Netflix. Amazon's website states that you need a high-speed Internet connection of "at least 15 Mbps" to watch videos in Ultra HD. The amount of Ultra HD content has very recently been expanded, with a range of titles now available, including A History of Radness, The Kinks, Bosch, Just Add Magic, The Man in the High Castle, Mad Dogs, Mozart in the Jungle, Hall of God, Red Oaks and Orphan Black. YouTube has more than one billion users across the world, and offers a huge range of video content. Not only will buffering be generally a thing of the past with superfast broadband, but YouTube offers an increasing number of videos in 4k (and even 8k) format that can be delivered via superfast broadband. YouTube sets the data rate (i.e. quality) levels according to the broadband speed and the type of browser (flash or HTM5) being used. The data rate for 4k content can vary between 13 Mbps and 25 Mbps. Don't forget to read our Increase Broadband Speed Guide to get the very fastest speed from your broadband connection. Our WiFi Optimisation Guide will ensure your WiFi connection doesn't become the bottleneck for your system.